When Petro SA’s oil rig, the Orca, docked in Cape Town harbour some time back for a major refurbishment expected to last in excess of four months, the managers Pride Foramer had to look carefully at the costs involved in such a long stay. The supply of water to the rig was one area they looked at. As the rig was now floating the pumps installed to supply the generators with cooling water and for the ablutions were also above the water line. The oil rig was hooked up into the mains water supply, but this was costly and wasteful as 75% of the water was just exhausted. This was when Denorco, now Franklin Electric came up with a solution – which was to hang a submersible pump down the centre pit directly into the sea water below. 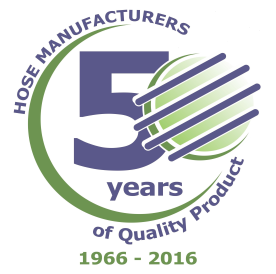 The easiest and safest solution, they felt, was to use Boreline, a flexible riser developed and manufactured by Cape Town based company Hose Manufacturers. As the Rig was now floating above water in Cape Town Harbour, the pumps installed to supply the generators with cooling water and the ablutions, were now above the water line. The Oil Rig has hooked up into the mains water supply, but this was mostly and wasteful as 75% of the ater was just exhausted. An alternative was needed. This was when Franklin Electric came up with a solution. The solution was to hang a submersible pump down the centre pit directly into the sea water below. The easiest and safest solution was to use Boreline for this application. As the Boreline could not be fastened at the top, a special bracket had to be made up for the Pump to be held in position. To ease future retrieval a bleed plug was fitted into the bottom Boreline coupling, to allow drainage of water from the Boreline. … down into the sea below. This was all done quickly and easily and within no time staff and crew were relaxed again and could get on with the work of the actual refurbish and repair.